Mercy Hospital St Louis, formerly St. John's Mercy Medical Center, is one of the largest Catholic-sponsored health care providers in the nation. Since 1871, it has been known for comprehensive family medical care, medical education, research, community services, and dedication to the Mercy values of compassion and caring for all members of the community. 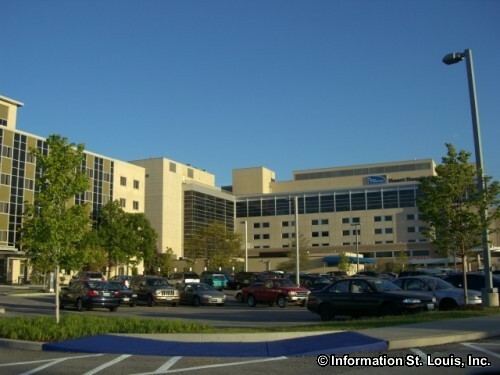 In 2011, all members of the Sisters of Mercy Health System, including St. John's, took the simplified "Mercy" name. 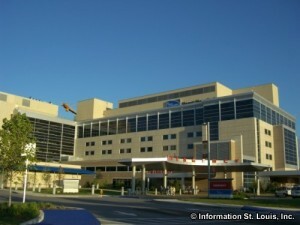 Mercy Hospital St Louis is located in west St. Louis County and with over 55 services and specialties it includes a 979 bed, fully accredited teaching hospital; the 100,000-square-foot David C. Pratt Cancer Center with advanced diagnostic and treatment capabilities; the Women's and Children's Health Center, with a two-story addition dedicated exclusively to mothers and babies and featuring all private rooms; a 120 bed skilled Nursing Center; a Surgery Center that provides inpatient and outpatient surgeries; and the new Heart and Vascular Hospital that opened in June of 2006.